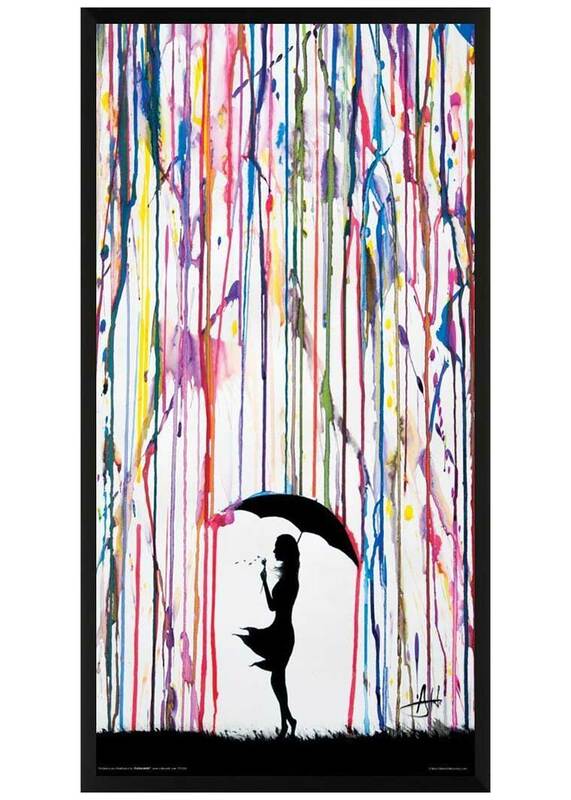 This pain rain poster is a piece of contemporary art that depicts a girl blowing a dandelion under her umbrella. It measures 12 by 24 inches and ships in a sturdy tube. 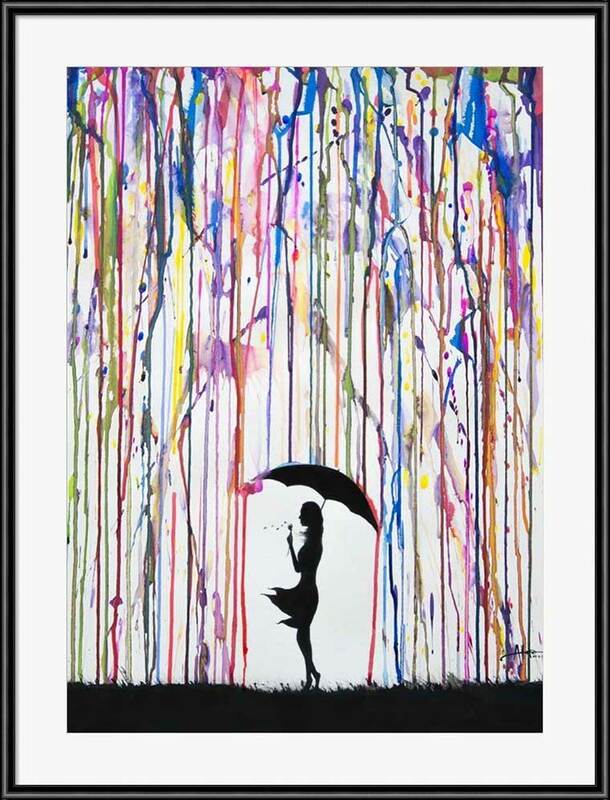 Makes for a great wall decoration and gift for an art room. This is a cool painting for artists. It measures 12 by 24 inches and makes an awesome wall decoration. It ships in a sturdy tube so it won’t get wrinkled. It’s a contemporary art piece you can get laminated or framed as well if you check out the image above. We have a lot of other cool artwork and gift ideas on our site. Be sure to look over our art category and any others you’re interested in!